Please feel free to use the "Comment" facility below to provide questions and answers relating to Econometrics. I won't be able to answer all questions myself, but other readers may be able to help. The Forum will be "lightly moderated" to avoid spam and inappropriate content. This is a very helpful blog. I think it would be great to a have a post on weak instruments. To my knowledge this has not yet been done.The topic is very important and people tend to ignore it. Great suggestion - thanks! I'd be very happy to do this. 1. The testing procedure is based on VAR models - depending on your data frequency, these may require several lags, and this in turn will affect the minimum sample size you can get away with. 2. The Johansen procedure is Likelihood-based. Accordingly, good asymptotic properties are assured, but the small-sample power can be low. 3. Cointegration is a "long-run" concept. You need a decent "temporal span" in the data to get sensible results. That is, 48 years of annual data may be more relevant than 4 years worth of monthly data. I have a question related to the topic “Maximum Likelihood Estimation & Inequality Constraints”, the restrictions on the output of an equation. In some cases the dependent variable can only take certain values (a probability, prices, etc.) therefore some models can be easily adjusted to the data (probit, logit, ANN) or some data transformations can be made. Nevertheless what if one wishes that the output of system of equations satisfy some restriction? I tell you my specify problem, which can shed light on what I say, I have (for a research project) to forecast some shares of sectorial GDP. For this I adjust an Artificial Neural Network for each share, without weights for the activation function, each forecasted share It´s in the range [0,1] but the sum of these is not always equal to one. P.S. Thanks for the blog. First, suppose that you were using OLS, rather than ANN. In this case you would have an example of what's called an "allocation model". If each equation in the system includes an intercept, then the sum of the dependent variables (the "shares") would equal one. It's easy to show that if you take such a system and estimate each equation by OLS, the PREDICTED values of the dependent variables will all lie between zero and one, and their sum will equal one. This situation arises, for example, with systems of Engel curves. I am not sure how to get this to carry over to ANN. I guess you could model and predict all except for one of the shares. The the forecast for the remaining one would be one minus the sum of the other predictions. I bet the results depend on which share you omit, though - unlike the case with OLS (MLE) where the results are invariant to the one you drop. I just wanted to say this is a fantastic blog, and I thank you very much for providing us with all this free and easy to understand content, not to mention this opportunity to ask questions and discuss. I would like to suggest a topic about the properties of some commonly used ARIMA models,are there limitations from the inferences we draw from a model that is not dynamically complete , rate of convergence, and things to this effect. Is it possible to solve my problem by eviews? I tried this one but I could not get the result. Do i make a mistake or eviews is insufficient to solve nonlinearity in parameters? Make sure that you choose "SUR" as the preferred estimator. Before you estimate, go into the "c" series in the workfile - that' where the coefficients are stored. Edit that series so that the third element( c(3)) is 1 (not 0) - if you leave it at zero you won't have a valid staring value for the non-linear algorithm, because (1/0) isn't defined. First of all, I really appreciate your blog and also for sharing your thoughts. It is really helpful. I am curious for your thoughts on an issue that is related to insufficient data. For instance, if we have insufficient data, say about 15 observations (annual data on a variable for 15 years), but very costly information which is not available publicly. So, the situation is very important information but not enough sample to carry out an empirical analysis and/or forecasting. What are the methods to be used for empirical analysis to develop a decent manuscript to convince the reviewer? especially in the context of insufficient sample. What are the options available to overcome this insufficient data issue? I hope this might be interested for many others as well. Can you please share your thoughts? Thank you. Glad that you like the blog. With 15 years of annual data, you really are very limited in terms of what you can do. One thing that you do have going for you is that your data span 15 YEARS, rather than months or quarters. You could meaningfully test for unit roots and cointegration (using the Engle-Granger 2-step approach) with that time span. That might tell you something about any long-run relationships between the variables. However, any regression modelling is going to be severely hampered by a shortage of degrees of freedom, and you're certainly not going to be able to set up a VAR model and test for G-causality. In short, you have very few options, in my view, but let's see if other readers want to make suggestions. Anonymous: Bayesian Model Averaging (BMA) may be a great fit given your situation. Hello Professor Giles,I have found your posts and blog very helpful in my self improvement.I am right now trying to model non linear cointegration and i understand i am to use the so called Threshold Cointegration proposed by Enders and Siklos (2001). It will be very kind and helpful of you to explain the threshold cointegration procedure in a step by step approach.I am trying to model pass-through effects of interest rates from monetary policy rate to lending rate.I must confess i know not how to even proceed on this.I am using monthly interest rates from january 2006 to April 2015.Regards and Thanks.Bala. I have two questions on the application of the bounds test and the ARDL model. 1) I wonder if we can still apply the Wald test in the ARDL model with no lags (a DL model then) of the dependent variable. The lag selection criteria sometimes points at such cases. 2) If the t bounds test does not confirm the result of the F-test, how do we conclude for the existence of cointegration? For instance, if the F-test rejects the null of no cointegration but the t test does not confirm this result, what to say finally ? if the series are not co-integrated, you could proceed with VAR. You should difference the data. VAR analyzes only short term relationship. You could also proceed with Granger-causality or IRF and Variance decomposition after you calculate the VAR. Or use TY if you want to analyze the relatioship in term of G causality. If series are not cointegrated why proceed with anything at all? Because there can still be a short-run relationship. Cointegration is a long-run equilibrium phenomenon. I would love to get expert opinions on this brief summary of a dispute about econometrics. Thanks. Note that one of the disputants (Smith) brings up this as an example to support his case. If econometricians were presented with those time series, what would be the result? Something different than experts at estimation and statistics in other fields? Why or why not? Thanks. They'd respond in the same way as any other statistician would. If the 2 series are random walks (and clearly they are not cointegrated) then this is just a spurious regression, ans we know what happens in this case. As the sample size grows, the R-squared does to one and the t-stat. for testing if the slope in the relationship will be unbounded. SO, the p-value goes to zero. Dr. Giless, much thanks for your response! But just to be clear, the "2 series" you're referring to are the synthetic aperture radar (SAR) time series in Smith's example (my 2nd link, repeated here)? Tom - no, I was referring to the artificial series, V1 and V2. Ah, of course!... now your comment makes perfect sense to me! Sorry for the confusion. I should have explained that the link was to Smith's comment, not his blog post at the top. I believe the two disputants (Smith and Sadowski) agree about those two series (the artificial V1 and V2). 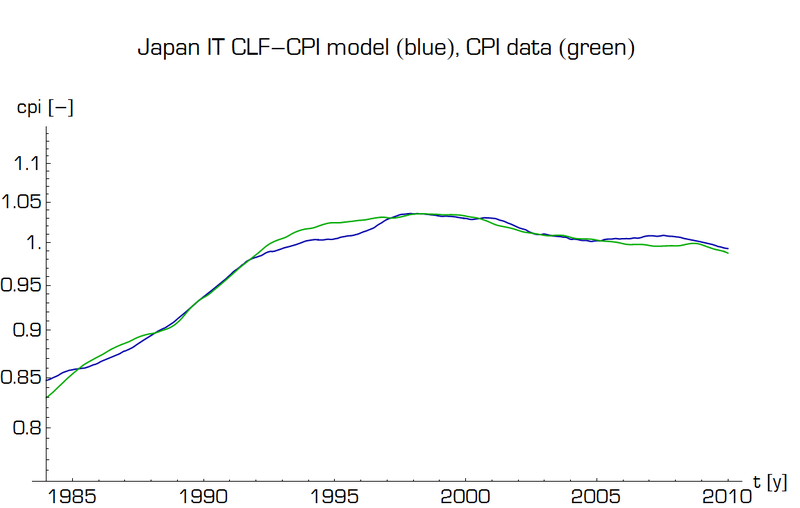 What they disagreed about is the economic time series data from the first link (repeated here). I don't know Sadowski's take on the SAR example in Smith's comment, since he didn't respond, but clearly Smith thought it was an example supporting his point on the economic data. Any thoughts on either of those other two cases? (either the economic data or the SAR example)? Again, much thanks, and I apologize for the confusion. First, I would like to thank you for you blog and sharing your knowledge and experiance with us. I would like to ask you on your thought regarding discrepancies between Johansen cointegration test and Engle-Granger cointegration procedure. I realize that Johanses shows us rank of cointegration, which if I am not mistaken, should be the maximum number of cointegrated vectors, whilst E-G tests for stationarity of the residuals of a specific vector. I am working with a data set where I first use Johansen, and then, in order to investigate further on the exact vector which is cointegrated, I use E-G. However, I have noticed that the two tests sometimes provide me with different conclusions. e.g. Johansen shows at most 2 cointegrated vectors, but I find 3 using E-G, or Johansen showing no cointegration but I find a vector which is cointegrated according to E-G, or sometimes Johansen showing 3rd rank cointegration but I can not find any using E-G. I realize that some part of the discrepancy is due to test statistics' significance levels and values which are close to the 5% significance could cause problems. However, on which of the two tests should I base my conclusions and is it appropriate to comment on the discrepancies? E.g. one of the variables is constantly found to be the dependent one in the E-G cointegrated vector, would this be correct to state that if that variable is excluded no cointegration would exist? Dr. Giles, do you know of any published experts who's expertise covers both economic and physical systems? This article implies that "system identification" is a field spanning both domains. Thanks. Dr. Giles, dumb question: can the curve y=constant be considered stationary? Isn't it true that it's mean, variance and auto-correlation don't change over time? So then is it fair to say that a line (y = a*x + b, with a =/= 0) can be rendered stationary by 1st differencing? This line is deterministic - there's no randomness. So, I don;t follow where you're going with this. Also, if you difference a stationary time-series, it will still be stationary (if that helps). Thanks Dr. Giles, yes, this must seem like a strange question, but isn't a deterministic line just a special case of a stochastic "line" (i.e. line + noise) with variance = 0? Sure - but can you spell out for me the context and where this is going? Thanks. Sure, this is what prompted my questions (the link is to a comment, not the post). Thanks so much! Paul. Actually this replies to my previous question. Thanks so much!!!!! ""A "stationary" series is *stochastic* process. The probabilistic counterpart of a stochastic process is a *deterministic* process." "In probability theory, a stochastic (/stoʊˈkæstɪk/) process, or often random process, is a collection of random variables, representing the evolution of some system of random values over time. This is the probabilistic counterpart to a deterministic process (or deterministic system)." "The probabilistic counterpart of a deterministic process is a *stochastic* process." Did I actually write that - it's clearly false. A "deterministic" means non-random / non-probabilistic/non-stochastic. "Did I actually write that"... No, you didn't write that! A different econometrican (whom I left unnamed) did. Sorry about my unclear writing, and much thanks for taking the time to respond! I have a question. I am analysing time series data using cointegration and VECM. All the series were tested for a unit root allowing for structural breaks. The tests reveal that all the series are non-stationary, and also contain structural breaks. This suggests that I will need to account for the breaks in the VECM model. However, the structural breaks in all the series occurred at different dates. As a result, I am not sure how to incorporate the different breaks in the VECM. I am asking if you could guide me on the best approach to dealing with structural breaks in a VECM with different break dates. @Mutawakil Zankawa Mumuni, interesting: I *think* your question might be relevant to the general thread of thought I was examining, since **I think** VECM and tests for structural breaks were involved there as well (Cholesky decomposition comes up, I know). If you have any opinions yourself on that, I'd be interested to hear them. Thanks. If you'd prefer to email me confidentially instead of a public comment, that'd be great too. I'm a very much a non-expert and my objective is to learn a little something about the subject (big picture anyway). "VECM" stands for vector error correction model? Regarding to the post the H-P filter and unit roots, when you stated that Cogley and Nason (1995) and Phillips and Jin (2015) mention that the filter can generate spurious cycles are in terms of gain, right? i.e. from the frequency domain perspective the relative contribution of each frequency. Or in terms of phase?, the position of the series with respect to the time axis or both. Nicolas - Both, I believe. I´m sure that the gain is affected, but the phase I don´t know. I am tempted to think that the phase is affected as in the moving average filter. Dr. Giles, can you recommend an overview of the subject of econometrics for the non-expert? Not necessarily a book: perhaps an online resource. I'm not interested in getting a PhD in the subject, but I'd like to know a little something about the field as a whole, and the types of problems you address and the methods used to address those problems. I have a technical background (I'm an engineer), and I'm familiar with discrete and continuous time systems, characteristic equations, ODEs, state space representations, frequency domain analysis, basic probability theory and optimum estimation and tracking filters (such as Kalman filters), signal processing techniques, basic matrix theory, feedback control theory etc. I just like to get a feel for the strengths and limitations of econometric techniques as applied to any time series data (not necessarily just economic), or a feel for why economic system are treated with the special tools that they are (if indeed they are). Thanks. I will like to know which software runs the Johansen, Mosconi, and Nielsen cointegration test with structural breaks in the deterministic trend. It is a great opportunity for readers to get connected with an expert person like you. Please I want to know whether we need check for stationarity in data simulating even we assume the data are normal distribution? Thank you dr. for the answer. I got an issue in my application. Once I put initial values for the parameters for simulating them, one of the parameters (the mean of the model) does not get back the initial value ( higher by one number ) . Could you please advise me what would be wrong with it? is that necessary all parameters converge to their initial values in the same iteration if I repeat them over 100 iterations? for instants, the Mean get converges in the 15 iteration and other parameters in the 100 iteration? I have recently had cause to consider the implications of variance in variable effect estimates in probit models, which subsequently are to be used in prediction. I discuss the problem in more detail here (http://bit.ly/1JqhLLL), but in a nutshell, when estimating the probability that Y=1 on new data, is it reasonable to give equal weight to beta1 and beta2 if they have very different variances (even if the effect magnitude is identical)? Any insight would be greatly appreciated. above test specifications are very similar (these are specifications from NLOGIT software I use) and therefore it seems to me that two effect maybe easily cofounded. How can I know which one is the real problem in given dataset? Is there any formal procedure to test i.e. both assumptions jointly? I am estimating a cointegration relationship among variables. However, one of the variables is exogenous whilst the rest are endogenous. Since eviews only offers cointegration with endogenous variables, I wanted to ask if there is anyway I could estimate a possible cointegration relationship with exogenous and endogenous variables. Mutawakil - no, there is no such restriction in the cointegration routines in EViews. Thanks for the useful blogs, they are very helpful. I have a question regarding the applicability of cointegration tests on two or more variables. These variables are indices and have different base years. For example the first time series is of base year= 2005, while the second one has a base year = 2008. Can we justify the use of cointegration tests on these variables given that when changing the base year there is a possibility that one or both of the variables may have completely different trends. Unfortunately, both variables are available in forms of indices and the source of data are not responding to emails to get the actual values of the base years. Amar - there is no problem with this. You can easily change the base of one index to that of the other if you wish, but there's no need to even do that if you don;t want to. Any index only gives us information about CHANGES (not LEVELS). Changing the base (properly) won't affect the "trend" in the index series. Thank you for your response to my question regarding cointegration test with exogenous variables. You indicated that there is no restriction in the cointegration routines in Eviews. So I want to ask if there is any other software or alternative way of testing for cointegration when some variables are exogenous. Sorry - I don't understand your point/question. I mean I am having a difficulty estimating a cointegration relationship among a set of variables in Eviews. One of the variables is exogenous whilst the reaming variables are all endogenous, and as it is in Eviews, the Johansen's cointegration test can only be applied when all variables are endogenous. So I am asking if there is any other econometric technique or software that can be used to test for cointegration using both endogenous and exogenous variables. I am afraid you are wrong in your interpretation of what Johansen's procedure is for (whatever the package). dear Prof. Dave, this is a model which i want to regress kindly give your insight about model specification..
topic is diversification and economic growth..
is this necessary to follow any production function, solow growth model etc????? labor and capital are incorporated in the TFP already... so do we need to additionally add it? or otherwisewe can specify our model independently???? Dear Dave Giles, some textbooks say (Gujarati, for example) that in the beginning of the past century, the term multicollinearity was understood only as perfect multicollinearity. Then, all of a sudden, this term began to also refer to the cases of imperfect multicollinearity. Do you know when it happened? Can you explain to me - as someone with only a modest grasp of econometrics - how to interpret unit root tests on variables that one would think have strict limits, for example ratios that can vary between 0 and 1, such as the ratio of government expenditure to total expenditure. Doesn't a unit root imply the variable has an infinite variance and so can end up anywhere? I have seen people apply these tests to such variables without any qualms. Are they correct to do so? Hi, sir if I have k+dmax=2 (where lag length =1 and the variables are integrated at I(1)), can I still go ahead with the TY non-granger causality test? Please define k and dmax. This question is wrt your blockbuster post "ARDL Modelling in EViews 9". Even after accounting for breaks in the unit root test (URT), LOG_CRUDE series has unit root at the 5% significance level. And LOG_GAS does not have a unit root at the 5% significance level. In both cases, the break date is 1929. I have three questions wrt this. 1. If it was found that both LOG_CRUDE and LOG_GAS have unit root, will we still account for breaks in ARDL? That is, should we create the dummy, SHOCK? 3. The null is that the LOG_CRUDE is non-stationary. Alternative is LOG_CRUDE is stationary with a break in the trend and intercept. Thus, if we fail to reject the null, what will be the conclusion? That LOG_CRUDE HAS A UNIT ROOT. Is it correct? I request you to kindly clarify it. 1. Yes, I would do that. 2. In that case, two different dummy variables would be used. Thank You a lot Sir. I have some clarifying questions with regard to your answers for #3. 4. Thus, if we reject the null, (that is, we conclude that LOG_GAS is stationary with a break in 2008), accounting for the break (with a dummy) is must. Is it correct? 5. Even if we don't reject the null, (that is we conclude LOG-CRUDE is non-stationary) since the programs gives a break date, is it still necessary to account for the break (assuming the break date different from the other variable)? 6. This is with regard to answer #2. Suppose i have 4 variables in my model. And i get 4 different break dates. According to your answer i should account for all the break dates. I did that. But my results became pretty bad. Plus, some break dummies are found to be insignificant. Can you suggest any better way to handle multiple breaks in a model? Is it reasonable to have ONE BREAK DUMMY FOR THE DEPENDENT VARIABLE? 7. If the break point generated by EViews 9 "unit root test with break point" is not correlated with any economic/financial/oil/war/ shock, do we still need to account for the break? Dear Sir, Kindly clarify the above doubts. I would like to estimate 4 linear Simultaneous equations in 3SLS method. I have both time series and cross section data over variables. I want to apply panel data regression technique in 3SLS estimation. I did not get any such estimation method. Again I am using STATA. I do not know the STATA Command for such estimation method. Kuntal - sorry, I don't use STATA. You might want to check a STATA user group. Do you know how to obtain generalized impulse response using EVIEWS or RATS? Suppose, two variables, X and Y, have break dates which are (1) identical, (2) X's break date is, say, 1974, and Y's break date is, say, 1976. 1. In this case, should we account for breaks in our estimation? 2. If yes, should we create two break variables or one? With regard to #1, my guess is that since the break happens in the same date, the coefficients will not be affected (I'm not sure, though). Are you of any forecasters out there who made a forecast of what the effective federal funds rate (in the US) would be after the Fed raised rates? I follow a blog that did use a mathematical model to make that forecast, but I'm curious how well he did as compared to other forecasters (perhaps using more traditional models). In your view, is this a good candidate for a Granger causation analysis? These folks claim to have built a better mouse trap for the valuation of private equity firms. While they don't go into a huge amount of detail regarding their methodology (i.e. the exact specification of their econometric model) they throw around things like "We have really high R^2". To me, at a surface level, it seems like they may be simply overfitting data. With that said, I would be very curious to hear your thoughts on this. I want to apply SURADF and CADF test in Gauss or R. But i couldnt because i didnt use GAUSS or R before. Could you help me about this subject? you educated many people around the globe with your blog. your amazing job is highly appreciated by many economists all over. i was wondering if you are planning on posting non-linear ARDL examples soon. i noticed it is a new trend and many researchers are starting to adopt it. hope to see it soon. have a wonderful time and enjoyable classes. I have a question regarding the consequence of base year changing on regression coefficients. 1. If two series have different base years in a regression will it impact the coefficients? 2. What are the econometric consequences of it? 3. How serious is the problem? 4. Is it must that all data should have same base years? And if required, all data should be “rebased” to base year? Btn, you kind of promised us to write a E-book on "Granger Causality". When will it come out? We all are eagerly waiting for it. I hope the book also takes care of structural break issues in the data. 1. Re-basing simply involves scaling the data. The estimated regression coefficient will simply scale in the opposite way so that the product of the coefficient and variable remains the same. e.e., if the variable is multiplied by 50 to re-base, the estimated coefficient will get divided by 50. 4. No need for them to be the same. If I have two regressions, I can manipulate results. For example, I want to show how Y affects X. In the first, it is 0.09 and in the second, it is 0.31. If my objective is to show Y has a larger impact on X, and then I will rebase all variables to same base year and I will present the second regression; and if my objective is to show it has smaller impact on WPI, I will have data in different base years and present results from the first regression. So, my choice of base year depends on what I want to show. If you make the correct comparison there's no problm. Do Economists or Statisticians normally compare levels of significance? That is, would you say gdp is significant at the 5% level and fdi is significant at the 10% level, so gdp is more significant than FDI? Is that the reason empirical papers usually include the 1%, 5% and 10% levels of significance? If two series, say X & Y are I(0) and we run a regression Y on X (a static regression model). Can we interpret that coefficient of X as a long run coefficient? No, it's just the within-period marginal effect. A question on Break date finding and accounting for it. 1. Suppose, Break URT (BURT) suggests one break date. Should we consider this break date in the regression model? 2. Or, we should strictly perform a Bai-Perron test? Accordingly, we will consider the date suggested by BP test. 3. If X variable is NOT trending, then i will regress X on constant. Then i will apply BP test. Is this correct, Prof? 4. And if it is trending, then i will regress X on constant and trend. Then i will apply BP test. Is this correct, Prof? Suppose we created a dummy (crisis dummy). When we add the dummy variable in the regression, it turns out that the dummy is NOT significant. However, the fit of the model improves considerably once we add the dummy even if the dummy is not significant. Should we drop the dummy or keep it in the equation? In the Johansen cointegration test, in both Trace Test and Eigenvalue test, the null hypothesis begins are “None”, “At Most 1” and so on. Suppose, both the test don’t reject the “None” hypothesis but they reject the “At Most 1”. This means there are 2 cointegrating vectors (CV). My doubt is: Can we conclude that there exists 2 CVs? If yes, then test statistic should have rejected the “None” hypothesis also. do you have codes on ANST GARCH models.. Sorry, I don't. Maybe another reader does. Hi Dave, this is an excellent blog and has helped my understanding of econometrics so much since I have found it. If the one that is SA already is to be the dependent variable in the model, I'd seasonally adjust the other series before modelling. It is's going to be a regressor, I'd not SA the others, but I;d include seasonal dummy variables in the ARDL model. I have been using Bai-Perron tests to identify structural breaks in variables I am trying to model for Cointegration. One comment I have received is that B-P has problems with non-stationary data. I am also using graphs to identify breaks - recursive, cusum with r - but would you recommend any other approach to cointegration with obvious multiple structural breaks? I have read some of your posts on ARDL models and they were great. Thanks for your efforts. During working with ARDL feature in Eviews 9 on my case (residential gas demand as function of price and income) I find that in the selected ARDL model by Eviews some of the coefficients for lagged dependent and explanatory variables are not significant at all (some p-values are not significant even at 50%) so I was surprised how such ARDL was selected by Eviews. Now if I must keep it and go forward for long run coefficient or not. Another question is that when I put maximum lagged higher than 5 Eviews give the message of singular matrix. ( my data range is 1990-2014 annually.) would you please explain what does it mean? Choosing an optimal model on the basis of AIC or SIC (in any context) never guarantees the statistical significance of individual regressors. That's a different criterion. Your other problem is that your lagged values are highly collinear and you have near or perfect multicollinearity. Unless you can lengthen your sample, you'll have to choose a shorter maximum lag length. Again, this is just the same as for any regression model. Suppose a variable is non-stationary in level. If we transform it to log, will it become stationary? Or,at least, will the probability of becoming stationary increase? Short answer - NO. In both cases. I've been meaning for ages to do a post on logs vs. levels when it comes to unit roots. Must do! Thank you very much for the great posts about ARDL. Thank to you I read the paper of Pesaran and Shin and I'm convinced that this is an excellent method for estimating the long-run parmeters and carrying out statistical inference on them. If two series, say x and y are (I), will the ratio (x/y) be stationary for sure? Ratios such as investment-gdp ratio, trade-gdp ratio are considered as I(0), although in practice unit root tests fail to reveal so. We often do ratio transformation to make the series I(0). What is the logic behind it? If X and Y are both I(1), then there is no reason at all for (X/Y) to be I(0). However, if log(X) and log(Y) are I(1) and cointegrated, then log(X)- log(Y) will be I(0). That is, log(X/Y) will be I(0). Hello proffesor, in trying to run cointegration test in eviews 7 (my data are on gdp, cpi, personal consumption expenditure, exchange rate and intrest rate) I get a message that says 'Near Singular Matrix'. My time series data spans 31 years. What can I do about this? Thank you. You are using too many lags and/or too many regressors. IN this respect an ARDL model is just like any other regression model. I am estimating a VAR with four variables. I have tested all the variables for a unit root, and the variables are all I(1). The unit root tests also revealed that all the variables contain structural breaks but the breaks occurred at different dates. Is there a way that I can account for the different structural breaks in the VAR? Mutawakil - you can do this by adding appropriate dummy variables, depending on whether the breaks are in levels or trends. If all of your series are I(1), I presume you've tested for cointegration. If it's present then you'd want to consider using a VECM model. Despite what some packages purport to do, there is no TEST for multicollinearity. It is a DATA phenomenon, and has nothing to do with the model's PARAMETERS. See my various post on this point. Kailer - thanks very much for this. Great to hear from you! Long time no seen! Hope you are all well. Sky - nice to hear from you. Thanks for the pointer to this package in R.
I have a series of quarterly data. When I run a ADF and KPPS unit root tests the results reject a unit root and cannot reject stationary. When I run a HEGY test the results reject all seasonal roots but do not reject a non-seasonal root. Given the lack of seasonal roots should I accept that the series is stationary under the ADF and KPPS tests or accept the non-stationary HEGY result? Mike - you should accept the HEGY result, for the following reason. The ADF and KPSS tests are applied with no allowance for the possibility that there may be unit roots at seasonal frequencies. When the HEGY procedure is used to test for a unit root at the zero frequency, it is done in a context that allows for the possibility of seasonal unit roots (even though you didn`t find any in this case). I am estimating a VAR and I have identified 5 structural breaks in one of the series. I have decided to introduce 5 dummy variables, each dummy taking the value of 0 prior to the break date, and 1 after the break had occurred to the last date of the series. I want to ask if this is the right approach to dealing with multiple structural breaks in a series using dummies. From the information you've given, that sounds fine, as long as the breaks are only in the levels of the series, and not in the trends. 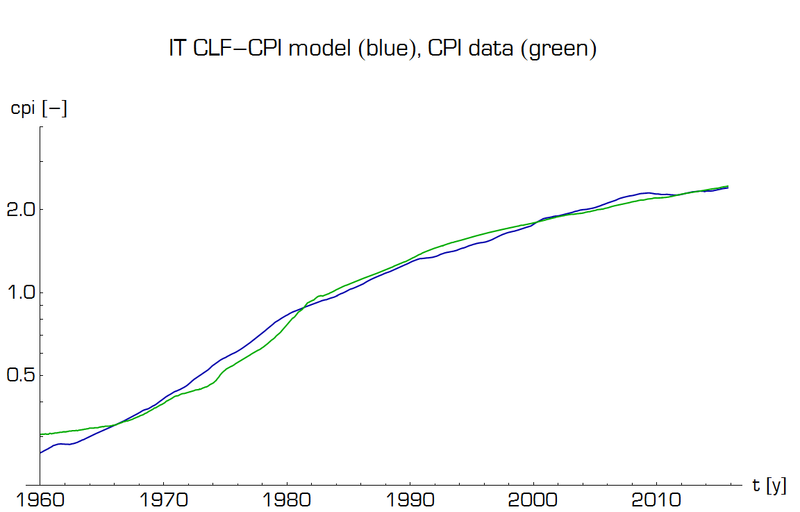 I want to estimate the effect of monetary policy on dis-aggregate consumer price index (CPI) using VAR model, is it possible to estimate VAR model for dis-aggregate data? My variables are trend-stationary. So, without differencing I can do OLS. I can do it in two ways. (1) I will detrend the data, and estimate the model. (2) I will retain the trend-stationary variables in the model but add a trend term. Sir, kindly tell which is the best option. I am using a series on number of European union directives as an independent variable over a long historical time series. The series is zero until the 1970s when countries join the European union. The zeros are genuine and not missing values but do reflect a change in regime. I’m not sure how best to handle – I have tried a dummy for when countries entered the EU but am missing out on the growth after the 1970s. I’ve seen a lot of ways suggested to handle having lots of zero in a time series but I'm not sure what the best one is. Hi Dave! I am trying to model monthly house price booms and busts episodes with VECM models including stock and capital inflow endogenous variables. To capture accelerating and decelerating growths around these boom/busts episodes, I have first HP-defiltered the housing price indices to identify a few such episodes and constructed deterministic dummies (linear and quadratic) spanning a few months to capture accelerating and decelerating growth periods (quadratic and cubic accelerations/decelerations) and included these dummies as exogenous variables. Is it practice to do so? Are inferences valid for the significance of the deterministic components' estimates? or is it advisable to use I(2) models which I am not really familiar with ... Many thanks in advance. Kind regards. I am avid reader of your blog posts. Thank you for educating us. I have always wondered: Is violation of normality assumption a grave mistake? We know that OLS estimators are consistent. So, how serious is to ignore the model where estimated-errors are non-normal? The size of the ECM term should lie between 0 and -1. Can ECM term be lower than -1? How to interpret a value lower than -1? Does it suggest that something wrong with the model? Yes, it does suggest that. What do the terms "long run" and "short run" associated with cointegration and Granger's causality analyses, respectively, mean? Could it be days or weeks? In other words, when we say that two variables share a long run equilibrium relationship, what does "long run " mean in practice? Quarterly data are prone to seasonality. In addition to standard unit root problem they might have seasonal unit root also. How to take care of "both" unit roots? Does taking care of seasonal unit root also take care of standard unit root (since it involves differencing)? No. It all depends at what frequencies the seasonal unit roots occur. First-differencing will only eliminate a unit root at the "zero frequency", but not at the "pi", "pi/2", or "3*pi/2" frequencies. These require different frequencies. Fourth-differencing of the series will be appropriate only if there are unit roots at all of the above frequencies. Thank you for your reply. If HEGY test does NOT reject both non-seasonal root and seasonal root, we will conclude that there are non-seasonal and seasonal unit roots. But the HEGY test does not say the order of integration of non-seasonal root. It might be I(2) also. Further, how to make data non-seasonal stationary and seasonal stationary? Thus, it’s a request that if you can write for your numerous readers how to handle both non-seasonal root and seasonal root, it would surely benefit them. If you're working with the levels of the data and get that result from HEGY , then the appropriate filter is Y(t)-Y(t-4). Just as with the ADF test you can transform the data and then apply HEGY to check for higher-order unit roots. I have a post in draft form on HEGY but it will be a while before it gets posted. Thank you Sir. Looking forward to your HEGY post. Thank you for dedicating your valuable time to post and respond to various questions by your esteemed followers. I have a question Prof. but it sounds elementary, this is due to my knowledge on econometrics. My question is that, Which among ARDL model and VAR model is more superior? I was working on VAR model, but now want to change to ARDL model, if possible. Thanks, in anticipation for your kind response. There's no simple answer to this. Different types of models are used for different purposes. Dear Sir, I have a question on the lag order for the Johansen cointegration test. To test for Johansen cointegration in a VAR setup, we have to feed the number of lags. Suppose VAR suggests 4 lags. At this lag of 4, AR roots lie outside the unit circle and there's also autocorrelation. For the number of lags to be entered in Johansen test, is it necessary that VAR should not have autocorrelation and be dynamically stable? If you use the forecast function, clicking static, and choose to forecast the variable in levels rather than differences this will "unscramble" it. Alternatively, you could use the output and work through the maths in a spreadsheet, which will help remove the "black box" illusion of eviews. Very helpful blog,I wants to learn Narayan and Popp (2010) test,Gregory and Hansen Cointegeration test in E-views. 1- Is it right to look for structural changes in the ratio of the two variable with Bai and Perron approach, then we introduce Dummy variables on the identified break dates in the ARDL model. 2- If yes, how we construct dummy variables that deal with multiple change points; for example if break dates in the ratio are in 1997, 2001 and 2014? is it correct to consider one dummy variable that takes 1 in the specified dates (1997, 2001 and 2014) and 0 outside? 3- If the answer of question 1 is NO, can I apply the Breakpoint URT test in eviews for the search of multiple break points in order to introduce them in the ARDL? and how to define the dummy variable in the case of different break dates (example in X, 2000 and in Y, 2010) in the two series? First of all, I would thank you for a really nice job on your blog Econometrics Beat. It´s amazing what you do there. Because of this, i took a liberty to ask you something about impulse response analysis. I have doubts about the interpretation of this plots and i´m quite sure that is a common doubt. Despite of that, i couldn´t find any exact answer for this question. The problem is what the criteria for analysis the statistical significance of a response in a variable with a shock impulse? What I mean, if I have plots like on the figures in attachment, how can I know if there is statistical significance? The lower and upper confidence bands are both positive or negative is a criteria to statistical significance? For example, in your blog you put a figure with IRF plot (http://davegiles.blogspot.com.br/2013/04/confidence-intervals-for-impulse.html) where lower band is negative and upper band is positive. Is this a criteria for not significantly, like you said in comments? If you could stablish a criteria for this type of analysis or indicate a paper/slides/post where this kind of doubt is treated I´ll be very, very, helpfull. Just a quick question, is it conventional to include a trend component when conducting a rolling regression? In eviews terms, including @trend among the right hand side variables. I did not see this in the rolling regression literature, but I think there is intuition for including. Please advise, thank you. I don't see what the intuition is...... do you want to elaborate? I was thinking in terms of time series with unit roots and/or varying degrees of seasonality. If a time trend was included, then the beta space that we plot the coefficients in from the rolling regression could more confidently be attributed to changes in the explanatory variable rather than the trend (delta y = alpha if delta e =0). But I could be over-thinking it. If the window is small enough, perhaps the trend will not be justified. I realize some researchers set their windows at intervals to let each iteration have equal exposure to seasonality. So the trend component is typically not justified in a rolling regression? Thanks - that helps. I don't think there is any compelling reason to include a (deterministic) trend. Can we apply panel time series techniques (like panel unit root tests, panel cointegration tests, and panel causality test) to unbalanced panel data? A clarification would be greatly appreciated. 1. If the data is missing either at the beginning or end of the series? 2. If the data is missing middle of the series? 3. Suppose the data is missing where the series at that position is clearly increasing or decreasing? I am using E-views for running Fama-Macbeth regression. I got results for Gama and t-test. However, it does not provide newey-west correction for t-tests for FM. How can I code or do these corrections. here is a question can we use I(2) in Johansan cointegration? and the paper that it links to. 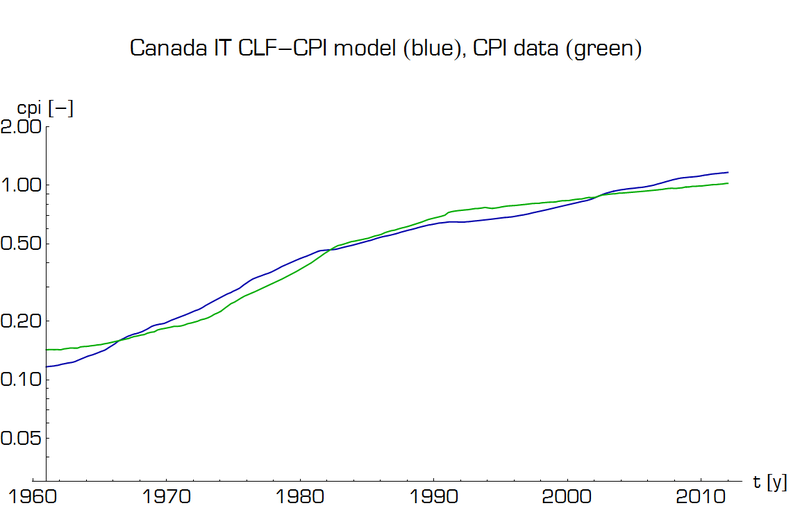 In a panel data consisting of several countries, different countries have different base years for, say, CPI. Is it required that the researcher should rebase to one year? Further, can we apply panel unit root tests to unbalanced data? Regarding the index number bases - there is no need to re-base. Regarding the other question - it depends what software you're using and whether or not it deals with the unbalanced data. Is it required to accommodate structural breaks when one deals with long (time periods) and large (no. of countries) panel? In case of large and long panel data, if we cointegration without accounting for structural breaks is established, the results is “robust”. However, if cointegration cannot be established then it calls for accommodating structural breaks in the cointegrating test equation. Further, In a long time period, Bai-Perron structural break test will suggest more than 2 endogenous breakdates. It would be difficult to accommodate all break points (if they are country specific and dates are different). I have a question about the ratio of coefficients (α/β) estimated from a simple regression model - can we say that the asymptotic distribution of (α/β) is normal? The asymptotic distribution of the ratio of the maximum likelihood estimates will be normal. The corresponding ratio of estimates will NOT be normal in finite samples. Why is the asymptotic distribution normal (not STANDARD) normal)? The ML estimator has an asymptotic normal distribution. By the invariance property of MLEs, a ratio of MLE's is the MLE of the ratio of the parameters being estimated. So, the ratio estimator, being an MLE itself, will have an asymptotic distribution that is normal. In addition, if the model's errors are normal, then MLE = OLS, so the above comments apply to the ratio of the OLS estimates. To get the variance (and ultimately the standard error) of this variance ratio, you would use the Delta method (which can be used for any non-linear transformation of random variablnes, such as estimators). Are you using EViews? If so, I can suggest a trick to get the asymptotic standard error with no effort. I am estimating a regression to predict the selling price of a going concern fast food restaurant. I have 37 observations. Predicted variable is selling price. Predictor variables considered are: gross building area, site area, year built, whether building has been remodeled or not, corner location or not, 3-mile radius population, 3-mile radius household income, median household income and annual daily average traffic count. The coefficients for the 3-mile radius population, 3-mile radius household income, median household income and annual daily average traffic counts are negative. I expect them to be positive. What is the likely remedy? I obtained the residuals values from the Hodrick Prescott and examined them. It was good because of no trend so I took the residuals and replaced them for each of the variables. Then I proceeded to the estimation of the model. Would this be correct approach to detrend the data? Suppose, in Eq 1, we estimate X on nominal interest rate (NIR) and inflation and other variables. Next, in Eq 2, we estimate X on real interest rate (RIR) and inflation and other variables. However, we know that RIR = NIR-inflation. the coefficient on RIR in Eq 2? No, it won't - because the 2 equations have been estimated quite independently of each other. Whenever I want to make sure that the ARDL estimates that I compute are valid, I usually run ARDL models in Eviews and Microfit 5.0. Of course the parameters are not expected to be that different but I find computed p-values in Eviews to be high than those computed in Microfit 5.0. Where it really gave me a problem was when the estimated ARDL model in Eviews produced an ECM that had a p-value of 0.000 while in Microfit it was statistically insignificant with a p-value of 0.535. This was puzzling to me because though the computed parameter was both the same, the p-values were way different. I have noted that this is quite the issue with Eviews that the estimated parameters tend to have high p-values. Have you come across this event? I have been following your blog for quite sometimes now and it has really been helpful. I was wondering whether you can provide me with some clarification on Granger causality (using T-Y as you did on your April, 29, 2011 post). I am doing an analysis on market integration and price transmission mechanism using maize prices for the 7 provinces in Lesotho. Can I use average provincial maize prices to do such an analysis? If so, the data are highly correlated across provinces and eviews lag length criteria suggests about 6 lags, however, the 6 lags are insufficient to take care of serial correlation. The issue is that I Eviews is not letting me add more lags, if I do i get this Error: Insufficient number of observations. Do you have any suggestions ? Should not d be 1/b=1/0.8=1.25? I have been following your blog for quite sometimes now, though i don't usually ask questions and it has really been helpful to me as a postgraduate student in a developing country. Prof. can you help me provide a blog on the new approach to non-linear Unit root tests (such as that of Kruse, 2011 and Kilic, 2011). These two approaches are what am working on in my Ph.D. thesis. Kindly assist sir. Musefiu - I'll see what I can do. In a linear regression model, y=a+bx1+cx2, after regression with intercept term, I want to calculate the prediction intervals of bx1+cx2 for a specific (x1,x2) without a, how to calculate it? This blog is very informative and i learned many things by reading your comments. Thank you for your efforts. I have questions in mind regarding ARDL and GMM methods in timer series analysis. If i want to examine the long run and short run relationship and there is endogenity in the model then which method would be suitable. ARDL or GMM?. Under what circumstances ARDL would be best approach? Dear Giles, I've been searching the internet in vain for an answer to a question, and I now turn to you hoping you'll have the time to answer. Here is my question. I write an equation in dln, where the dependant variable is a (dln of a) rate "Ri", and where some independant variables are (dln of) rates "Rj". The estimated R², DW, and T stats of estimated coefficients are good, and all coefficients are of correct a priori sign. I then change all of the rates, dependant and independant, from "R" to "1+R" and re-estimate this modified equation. I find once again that the estimated R², DW, and T stats of estimated coefficients are good, and all coefficients are of correct a priori sign. The estimated coefficients of the two equations differ somewhat, but not drastically. However, the two estimated equations react quite differently to standard shocks. Could you explain why this is so? In advance, thank nyou very much!!! I have a daily time series data. One of my goals is to extract or model a trend for the time series data. How to model a trend is a totally different topic for a separate discussion. For our purpose, let us assume, the trend is the simple regression slope where the time series data is the dependent variable and a time index as the independent variable. Let us also ignore the technical aspect of running such regression e.g. the daily data is correlated. My question is: the estimated slope (or trend) will depends on the length of data used in the regression. What is a good guiding principal in choosing the length of the time series data? I only have some purely subjective criteria. For example, if we use last 30 days of data, it will be relatively short term trend comparing to the scenario of using 90 days of data. I see ARDL models and the bounds test used more and more for determining if a long run relationship exists. But the ARDL approach, as you know, requires that the independent variable be weakly exogenous. Yet studies having used the bounds test then estimate a bidirectional VECM. My question is can the bounds test still be used when there is a bidirectional relationship between the variables? I should think not, but wish your considered opinion. Michael - for the distribution of the bounds test statistic to be correct (& hence for the tabulated critical values to apply), weak exogeneity is required. So, no, I don't think so either. I want to find the following equation "GDP = f(exh, pexe)". "exh" is expenditure on health and "pexe" is the public expenditure on education. In the Unit root test Out of three only one variable is stationary at level-2 (Annual data from 1997-2017 total 21 obs.). What shall I do the make the data stationary from non-stationary. Can I run the Johansen co-integration with one variable stationary at level-2. or not or what will be the appropriate method for my data. Thank you for your guidance and time in advance. Shoaib - Please clarify: do you have one variable that is I(2) and 2 that are I(0); or do you have one that is I(2) and 2 that are I(1); or something else. Thank you very much for your blog. I'm not sure if you take requests, but would you ever consider doing a blog related to time series regressions and interpretation? I feel that this is an often overlooked area of time series in many textbooks, and an area that I (and others) have struggled because of the lack of emphasis of interpreting various coefficients of different lag orders and transformations. First of all, think of ARIMA modelling as a slight extension of ARMA modelling. So if you're familar with ARMA modelling then this will help. I would recommend a good what I describe as a beginners graduate level text, Verbeek 'A guide to modern econometrics'. On page. 290. they give a good introduction to ARIMA modelling and even provide an empirical example. If the process that you're trying to modelling as a unit root. Then you will have to first difference it before completing ARMA modelling. Then it would be the change in the series that is modelled by the ARMA process. A series that becomes stationariy after first differencing, is said to be integrated of order 1. To use an ARIMA model for forecasting something. 1) Decide if it has a unit root or not (or multiple unit roots for that matter). 2) If it has (got a unit root or more), differecing it will alow you use ARMA modelling as normal. 3) If it hasn't, go back to modelling with an ARMA model. For good forecasts, it is generally accepted to use the BOX-JEKINS method of modelling. This will help you select the appropriate model (i.e. AR and MA lags) and from here forecasting is straightforward. Especially in eviews. Have a look at the eviews manual for unit root tests as this is the best place to start. I hope this message reaches you well. Firstly, regress x on z and save the residuals, Mzx. Second, Regress y on x and Mzx. Show that the estimate on x in the second stage is numerically identical to the IV estimate of β using z to instrument x. Is the coefficient on Mzx of interest, and if so, why? You'll find the answer in pretty much any intermediate-level textbook. Seriously. I too am a big fan of Eviews. I have a question about VAR modelling. I understand that the default option in Eviews if OLS. My question is related to the error terms in a VAR system. Lets say if I estimate the VAR by OLS, how can the error term in the second equation (u2), impact the estimation of the first equation of the VAR. Every post is an interesting read. Thank you very much for your efforts. Jack - if every equation in the VAR has exactly the same regressors (i.e., the same number of lags for each of the variables), then OLS is identical to SURE estimation. The second error has no impact on the estimates of the parameters in the first equation, and vice versa. You'll find this result explained and proven in most grad.-level econometrics textbooks. On the other hand, if you have different lag lengths in the two equations, and hence different regressors, the OLS estimates are no longer efficient - they differ from the SURE (system-GLS) estimates. In such cases, in EViews you would create a system object, spell out which lags you want in each equation, and then choose SURE as the estimation method. I hope this helps. Thank you very much Professor. Sorry to bother you again but are you perhaps familiar with research by Vilasuso (2001), "Causality tests and conditional heteroskedasticity: Monte Varlo evidence". Jounral of Econometrics 101 (2001) 25-35. I am actually trying to replicate his results. He sets up a VAR(1) model and finds that when using least-sqaures, to test for causality in mean AND there is a causality in variance relationship (that is the conditional variances of the disturbance terms exhibit conditional heteroskedasticity which is related) least sqaures exhibits severe size distortion. I am just wondering how least squares could even pick up that there was a causality in variance relationship. As you say, for a VAR model with the same lags it should be equivalent use OLS line by line. Any tips or pointers would be greatley appreciated and I would like to thank you once again for a excellent blog, website and publications. You have certainly helped out me and tens of thousands of students worldwide.